We can call this Memoir Monday - but it won't be a recurring theme. 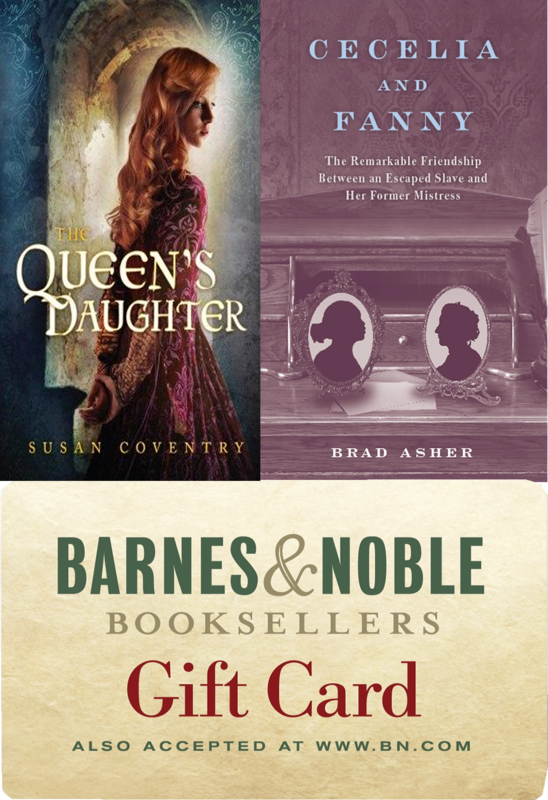 I finished two memoirs this past week, both enjoyable pieces of writing by authors whose voices I have to admire. Still, I’m afraid memoir just isn’t my genre. I found that even though I liked pieces of the books, I wasn’t all that interested in the plot of either one. Maybe it's because memoirs don't really have plots the way novels do -- and maybe that's why I have a hard time being pulled into the stories. The first was Q’s Legacy by Helene Hanff. I suppose I was expecting a bit more of the "Q" in there – a bit more of how she taught herself to appreciate literature and to write thanks to a series of books-based-on-lectures written by Sir Arthur Quiller-Couch, a Cambridge don. I guess I wanted more of a blow-by-blow account of what books she’d read and what lessons she’d learned. Instead, the "Q" recollection was just a bit of intro to lead us into a tale of how and why she wrote 84, Charing Cross Road and the twists and turns her life took following the book’s success. I loved 84, Charing Cross Road. That’s how I came to be interested in this memoir in the first place. But I wasn’t looking for a simple behind-the-scenes glimpse of the writing of the book with a peek at Hanff’s peripheral involvement in the various stage adaptations that came afterward. Hanff is a charming writer, but I much preferred her interactions with her friends in her letters. This seemed more forced. I enjoyed the second book more. This was one that a friend lent to me but I put off reading because, well...I don’t read memoirs. But, coincidentally, my book club picked it for our January meeting, so I plucked it off the shelf: Mennonite in a Little Black Dress by Rhoda Janzen. This is the story of a lapsed Mennonite who, at the age of forty-three, is dealt a rapid series of blows that cause her to reevaluate her life. First - a surgery with complications. Second - her husband leaves her for a man, and finally, she’s in a car accident that results in broken bones, limiting her mobility. Rhoda is a college professor, an intelligent, professional woman. She’s used to supporting herself and her husband. However, she can’t afford her house payments without her husband’s contribution. Devastated and at her wit’s end, she returns to the Mennonites. More specifically, she returns to her parents’ home to recuperate with her Mennonite mother and father and with the support of the community of wonderful family and friends. In course of the book, while poking gentle fun at them and at herself, she embraces and dispenses with stereotypes about Mennonites. She also allows the story of her marriage to haltingly unfold, showing the reader how very much better off she is without the guy, no matter how much she loved him. It’s complicated. Janzen is funny and can get the most out of an anecdote. It’s an entertaining book and I’m sure I’ll enjoy the book club discussion. Still, all-in-all, I’d rather read a novel. Several years ago, my sister asked me if I had ever read J.D. Salinger’s Franny and Zooey. I had not. Catcher in the Rye was quite enough for me. I read that in high school and found it hard going. But she said I would like this one and she knows me awfully well, so I thought I’d better read it. I mentally added it to my list. I picked it up and put it down in bookstores several times. I thought about requesting it from the library. Somehow I never could quite summon up the enthusiasm to commit. Not until the Borders going-out-of-business sale. There it was on the shelf. A discounted paperback staring me in the face. What was I waiting for? I had no choice but to buy it. And this weekend I finally read it. Franny and Zooey is, as I understand it, two short stories woven together. They relate an incident from the lives of the two youngest Glass children. Franny is nearly finished with college when she has a nervous breakdown (in the day’s terminology.) Sickened by the phoniness and egoism of everyone around her, she is unable to stand being at school anymore. She makes a brave effort to visit her boyfriend Lane at a nearby college for the big weekend Yale football game, but he is the worst posturing phony of all. Unable to continue the charade, she haltingly confides what ails her. She tries to tell him about a book she has been reading that has been providing spiritual enlightenment. She is now attempting to follow its precepts by continually praying The Jesus Prayer. Lane doesn’t understand. He doesn’t want to understand – he wants to go to a cocktail party and then to the game. Fanny—dizzy, sweating, and ill—finally faints, bringing their weekend together to a close. Franny goes home. This is where the reader meets Zooey, her slightly older brother. (Their mother, Bessie, is there, too.) First, Bessie tries to convince Zooey to talk to Franny. Apparently, Zooey already has talked to her. After a lengthy argument with his mother, Zooey does, in fact, go out (they were arguing in the bathroom) and talk to Franny again. This is the story in a nutshell. The amazing thing is how bizarrely entertaining the book is, considering it is simply a prolonged gabfest. Nothing happens. The characters are arrogant, irritating, funny, and poignant. They are too intelligent for their own good. It leaves them bored with the world, cynical, and convinced of their own superiority. But being this way has made them miserable. Moreover, they’re aware that their misery is their own fault. I found myself caring for them even though I don’t think I’d want to be trapped next to one of them at a social function. Salinger is an extraordinary writer. The characters were very real. I could see the settings precisely and watch the scenes as though I were watching a play. The humor leaped out at unpredictable moments, biting and cruel, but the love between the brother and sister was subtly sweet, and the contrast made me more aware of both. The final verdict is I enjoyed the book so much I might just have to give Catcher in the Rye another chance. Christmas is Coming! I can't wait! Mine are rather obvious this week, but we are in count down to Christmas mode. I'm going to see some extended family at Christmas this year so it will be particularly merry. comments/activity on your blog this year? I had to go digging for that answer. I guessed it would be a giveaway post, and I was right. 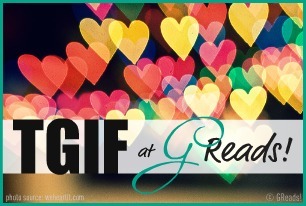 It was my Mailbox Monday with Giveaway post for my husband's book Cecelia and Fanny. But I was surprised to find it tied with two other Mailbox Monday posts - like this one for a new old book. Overall, the hops and memes get more activity than book reviews. Today I'm being interviewed as part of the author interview series 2011-wrap-up at The Mod Podge Bookshelf. 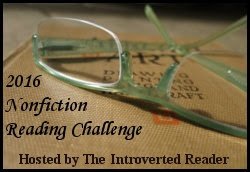 Come have a look at my guest post and check out some of the other author interviews as well! Although this book came out at just the right time to be a perfect Christmas present (just like last year's release of A Play of Piety), I was far too impatient to wait a couple more weeks. I bought it for myself, then sat down and read it. I’m addicted to the "A Joliffe the Player Mystery" series. 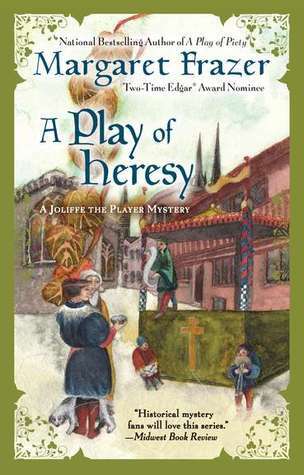 Margaret Frazer’s A Play of Heresy continues the story of Joliffe, part-time player (actor) and part-time spy for the powerful Bishop Beaufort. As this instalment opens in the early summer of 1438, Joliffe is looking forward to a little well-earned respite from his spying duties. He’s returning to his company of players who are in Coventry for the Corpus Christi festival – a festival of plays. Each of the guilds sponsors a different religious-themed play and vies to put on the best production. While locals play most of the parts, they often bring in ringers to direct and perform, in order to boost their chances of outdoing the competition. Joliffe’s friends are well-employed by the tailors’ guild. Unfortunately, as Joliffe is making his way to Coventry, he comes upon a friend of a different sort, another spy for the bishop. This man is perturbed because an informant whom he was supposed to have met in Bristol was lost somewhere between Coventry and the assigned meeting place. The spy is quite certain he’s dead and that Lollards, religious malcontents/heretics, are to blame. Since Joliffe is on his way to Coventry, he is assigned the task of investigating things at that end. And so begins another intricately woven tale of murder, intrigue, love, and human failing. Joliffe gets to do the things he does best: work in theater and solve murders while pondering philosophical questions of life. 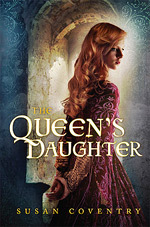 I find Frazer’s style, the voice of her characters, to be original and pure pleasure to read. The historical details are always rich, bringing me fully into the world. And besides, I’m head-over-heels in love with the protagonist and have been since book one. The book would stand alone as an interesting murder mystery, but I think you’re cheating yourself to read it this way. I’d really recommend starting with A Play of Isaac and reading through the series. Much of the entertainment of these books comes from the unfolding of Joliffe’s character. His interactions with his fellow players is more deeply appreciated also if you know what’s come before. What is here is fine for plotting and enough for carrying the story, but you won’t get the full emotional depth of the experience. Now I’ll join the other "Joliffe the Player" addicts to ask: How long must we wait for book 8? 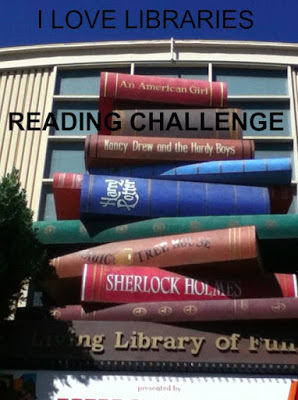 Although I'm watching the number of challenges I sign up for this year so that I don't get crazy in November/December 2012, this one is an easy one for me. 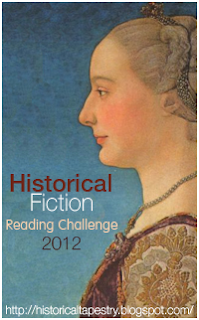 Historical fiction is my go-to genre. 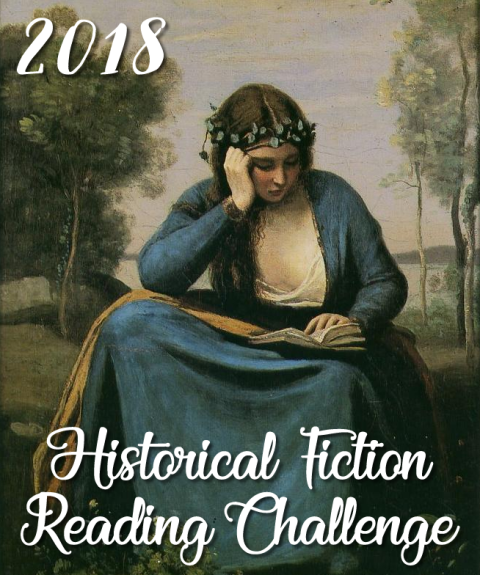 To join the challenge you only need to make a post about it, grab the button there if you like and leave your link in Mr Linky at Historical Tapestry. If you don't have a blog you can just leave a comment there saying that you are joining. 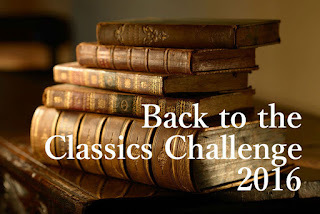 The challenge will run from 1 January 2012 to 31 December 2012. This year I'm going to bump up my level of participation to Undoubtedly Obsesssed, 15 books. If you're a historical fiction fan, or just interested in exploring the genre, come join us! The books I've read are below. Click on the link for reviews. Two master illusionists/magicians have been trained from a young age to take part in a contest in which one must out-magic the other. The victor’s prize is survival. The contest will take part in a fantastical circus—one that travels from city to city on a train that defies reality, appears instantaneously, and is open to the public at nightfall, closing at dawn. The Circus of Dreams. The contestants, Celia and Marco, build the circus, vying to show off their skill and imagination. Neither quite understands the rules of the game, not at first. Enamored of the wonders of the night circus, they collaborate with its initiators (a promoter, an engineer, a clock-maker, a costumer and a few others) and even with each other to create a magical place/event that seduces circus-goers around the world. And, not quite understanding the rules of the game, of course they fall in love. The larger and more elaborate their game—their world—the more difficult it is to hold it together. Although they are the crucial players, innocent people are also entrapped. Celia and Marco are bound by their own masters to play it through to its conclusion no matter the consequences. 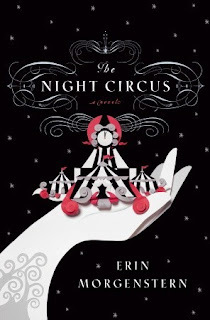 The Night Circus by Erin Morgenstern has been receiving rave reviews that are well-earned. It is imaginative and lushly written. Her world-building is superb. It’s a gentle book, for all its threat of violence. (Two young people are forced into a contest in a created venue where they had to battle to the death for an ill-defined prize. But they defy their "superiors" by falling in love and redirecting their energies. I confess Hunger Games popped into my head as I was reading. But this is very unlike Hunger Games. It’s all very subtle and contained. They battle by creating fantasy tents in a circus of dreams and for a long time, they don’t even know they are engaged in a battle for survival.) There is a slow and dreamy quality to the book. Shifts in time added to the dreaminess—they were a bit disorienting until I gave myself over to the sliding back-and-forth. (Chapters start with a dateline so if you pay attention you shouldn’t get disoriented, but I’m not good at checking dates. I find it more distracting than I do being disoriented.) The circus itself is an addictive fantasy (what new tent would be created next?) and I was curious to see if Celia and Marco could escape their fate and if so, how. Still, I think I had expectations for the book that were higher than could be realized. For me, it was all too surreal. I was never pulled into the world of The Night Circus because it was all too impossibly fictional. The tribulations of the characters didn’t touch me very deeply. But this could be, in part, due to the fact that I sat down and read the book on Friday night after a long work week. So, gorgeous writing, imaginative, with a fantastical dreamlike setting. If you like fantasy and magic and love stories where superhuman soulmates must overcome obstacles like magical curses where they are doomed to have to fight one another to the death, destroying everything they love in the process – this book is spellbinding. The winner of my Blogoversary Prize Package, chosen using Random.org, is Annette. Congratulations, Annette!